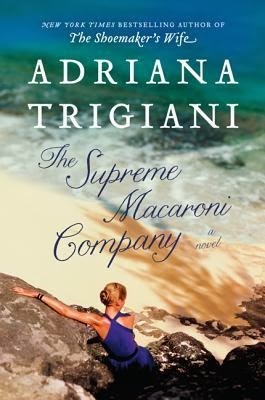 Trigiani (The Shoemaker's Wife) explores the delicate balance (and unbalance) between work, family, and love. Valentine Roncalli, a shoemaker at her family's business, Angelini Shoe Company, is going to marry her tanner, Gianluca Vechiarelli. Gianluca wants to return to his native Italy; Valentine is committed to keeping the family concern running in Greenwich Village. Further complicating things is a difficult moment between Valentine and an old friend, which threatens the marriage. The way the couple juggle their jobs and their complicated families with understanding, sympathy, and love is often hilarious, in spite of the frustration it brings to both of them. A twist near the end of the book is not unexpected, but tense shifts get a little dizzying and it's easy to get ahead of the story. The pages detailing how Valentine practices her craft of shoemaking are superb. Trigiani's ability to bring the large, warm, enveloping—if somewhat dysfunctional—family to life will keep any reader engrossed and entertained. So, you know what I didn't know about this book? That it is the third installment in a trilogy! In fact, I didn't find this out until I was about 2/3 of the way through the book! (Very Valentine and Brava, Valentine are the first two installments). It is because of this fact that I feel this review will be a little incomplete. You see, I did find some strange things about this book--the character development was weaker than I would have expected, there were references to things that didn't happen in the book, etc. But, all of my "complaints" about this book disappear when I realize that there are 2 books before it. So, let's ignore all that and talk about the rest. This is a book that kept me going and I really rooted for the characters, especially Valentine. I found her marriage to Gianluca and their struggles to be very realistic. And I loved Valentine's family--think "My Big Fat Italian Family." I did find the end a little predictable, but not unsatisfying. I also wasn't sure if this was supposed to be a great love story or a story about a woman "having it all" or whatnot--I think that the book would have benefited from a bit more focus. Despite not reading the first two books, I enjoyed this one--enough that I immediately ordered copies of Very Valentine and Brava, Valentine. I received a copy of this book from the author. No request was made by her for this review and all opinions in this review are mine, and mine alone.